62-year-old Bhagat (name changed upon patient’s request) from Mumbai, suffers from a cardiovascular condition. He underwent his first angioplasty in 2016 after which surgeries followed in 2017 and 2018. Along with the surgical procedures, Bhagat was advised regular medication which added to his already surmounting healthcare-related expenditure. During one of his regular visits to the doctor, Bhagat encountered a fellow patient who informed him about generic medicines, which were a far more affordable option for a chronic disease patient like him. He consulted his doctor and soon afterwards switched to generic medications. His monthly expenses towards medicines reduced dramatically, from ₹ 2,000 a month to ₹ 700 a month. Several months have passed since Bhagat has been on generic medicines and emphasises that his health parameters continue to be the same as when he was taking branded medicines. He insists that he took this decision of switching to generic medicines with complete trust on his doctor’s advice. After changing to generic generics, he has experienced 65 per cent increase in his monthly savings. Millions of patients like Bhagat, living with chronic and non-communicable diseases (NCDs) have to bear medical expenses throughout their life, post diagnosis. India’s burden of NCDs is only growing manifold, year-on-year. The onset of NCDs in India occurs typically a decade earlier than many developed countries, with the average age threshold being ≥45 years, thereby impacting a majority of the country’s productive workforce. Of all NCDs, cardiovascular diseases, diabetes, respiratory diseases, cancer and hypertension, account for 60 per cent of all mortality in the country. India has one of the highest per capita out-of-pocket expenditures on health. Owing to the high expenditure towards healthcare, close to 63 million Indians fall into the poverty trap every year, says the Ministry of Health website. Majority of the expenses incurred by patients, are towards non-hospitalised treatment. According to the ‘Health in India’ report, 2016, of the overall health expenditure, 72 per cent in rural and 68 per cent in urban areas was towards purchase of medicines. Of the overall treatment costs, medicines continue to account for 50-80 per cent of spends. This is a momentous challenge, with an existing viable solution, which is not being presented to patients, owing to the overall structure of the healthcare ecosystem in India, which allows limited awareness or information on treatment options amongst patients. The Indian healthcare and pharma market is quite distinct in comparison to the other developing and developed markets. India is one of the very few countries where apart from the innovator and branded generic medicines, a third category of generic-generic medicines exists. With very few patented molecules in the country, the total market size of generic medicines in India is around ₹ 1,10,000 crores, dominated largely by branded formulations. A variety of reasons have steadily shaped this unique market structure, lending an inherent inclination towards branded generics. Generic-generics carry a trailing burden of issues, which despite the industry addressing them over the last couple of years, continue to affect their reputation. In the past, there have been concerns regarding the quality of generic-generic drugs (standard followed at manufacturing facilities), thereby questions being raised on their efficacy. This led to an overall sentiment of lack of trust in generic-generics. However, the scenario has significantly evolved over the last few years. Generic drugs in India are manufactured by reputed pharmaceutical companies at WHO and/GMP certified manufacturing facilities. These high-quality and low-priced generic medicines are supplied from India, across the globe. It is therefore, imperative that this advantage of affordable and efficacious medicines is also passed on to the Indian patients. This mission can only be achieved by bridging the information gap about generic-generic medicines within the patient and doctor community. Currently, in India, multiple companies are manufacturing the same medicines, but patients and majority of doctors are not aware about the fact that this lends no difference to the efficacy of the medicine. Therefore, doctors continue prescribing the brands which have a higher recall and patients don’t seek generic-generics as alternatives. The need of the hour is to make both patients and physicians aware of the diverse options available with the same quality, most of the times at a significantly lower cost. The government and regulators are working towards closing this gap, with a host of initiatives and policies. For instance, the Medical Council of India (MCI), in its notification in 2016, directed physicians to prescribe drugs with their generic names and not brand names. According to Dr Krupa Jayesh Sarvaiya, Medical Practitioner from Mumbai, while it is crucial that doctors advise appropriate medications in line with their patient’s condition, they also have the responsibility of recommending quality and affordable options, regardless of the brand, to patients who are unable to afford rising healthcare costs. She believes that it is important for doctors to counsel patients on the quality aspect of generic equivalents. Like Dr Krupa, several doctors prescribing generic equivalents have found that generic generics have similar efficacy and quality-standards as their branded counterparts. Over the past few years, rising healthcare costs have resulted in affordable and quality generics gradually building their level of trust amongst the Indian patient community. Once the doctor prescribes a generic-generic medicine, it becomes the responsibility of the pharmacist to make the best product with the same composition, available to the patients, in line with standard global practices. 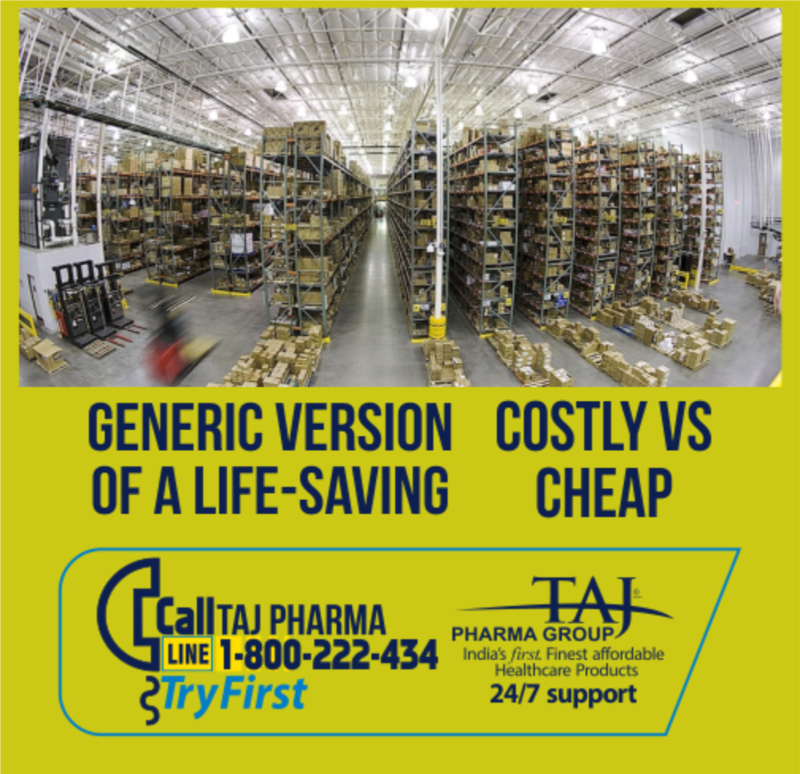 When a patient with a generic prescription goes to buy a medicine, the pharmacist becomes responsible to not only decide which generic to sell, but also to pass on the price margin benefit to the patient, thereby helping him/her save maximum money. The pharma retailers are therefore, accountable for responsibly deciding the MRP of drugs and train their staff to help patients make informed choices. In parallel, the ‘Pradhan Mantri Bhartiya Jan Aushadhi Pariyojana’ (PMBJP) aims to improve the supply chain management, expand the product portfolio and increase availability, awareness and accessibility of generic-generic medicines. PMBJP has already resulted in 50-90 per cent savings to patients by selling generic medicines through PMBJP kendras across the country. Additionally, the government has also implemented the health insurance scheme, Ayushman Bharat, with an intent of becoming a safety net for millions of people who struggle to afford medical care. These essential steps by the government, are towards ensuring that greater number of people have access to affordable healthcare and low-cost medication is an essential aspect of passing on the benefits to patients. This will also help in driving more people to seek treatment for ailments they might have previously ignored due to the cost burden of medication. Despite a practical rationale, there still exists apprehension amongst medical practitioners, patients and caregivers, with regards to the reliability of different alternatives of the same drug. The key is to therefore, (i) raise mass awareness; (ii) all stakeholders to come together and draw a framework for common quality standards at the manufacturing sites, distributors, stockists and retailers level; (iii) create stringent guidelines for regular monitoring and inspections; (iv) protocols for penalty in case quality-standards are not met at any level. This would ensure undeterred access to low-cost, high quality and efficacious medicines to patients. In line with the government’s vision of affordable and accessible healthcare for all, it would be worthwhile for public and private players to come together and work on a roadmap to resolve some of these teething issues. Now, is the right time to start building an ecosystem which ensures that no one in India dies because of the high cost or thereof, lack of treatment. Connecting all these dots – current need-gap, ever-growing disease burden, economic burden posed by healthcare expenses, limited accessibility to affordable medicines – generic-generic medicines appear to be the most viable solution to address the healthcare situation at hand, in our country.